How Do I Configure a Large Number of Yealink Phones? In previous Mom’s calling Q&A series, we have discussed: Can I host a local 3-way conference with Grandstream’s GVC3210? Today, we are going to focus on mass deployments of Yealink phones. Check it out! 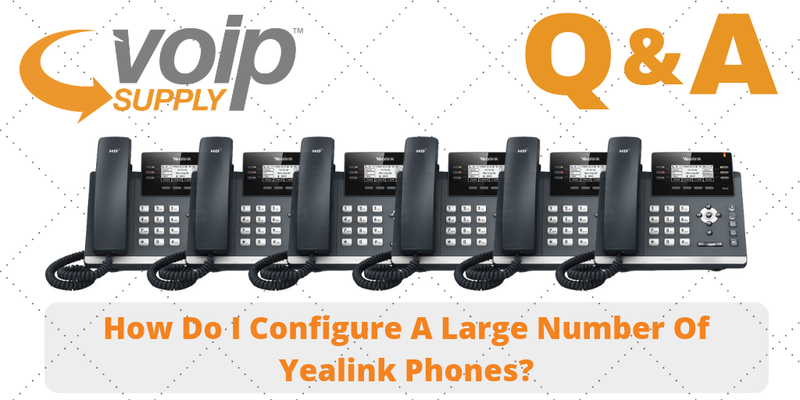 Q: I need to configure a large number of Yealink phones. How do I do it? Is there an easier way than deploying the Yealink phones manually? A: Yes, you can deploy through Yealink Redirection and Provisioning Service (RPS), a free service developed for all Yealink customers worldwide. The RPS simplifies the mass deployments of Yealink phones, saving you time and money in configuring and shipping phones and reducing errors caused by complicated manual configuration.